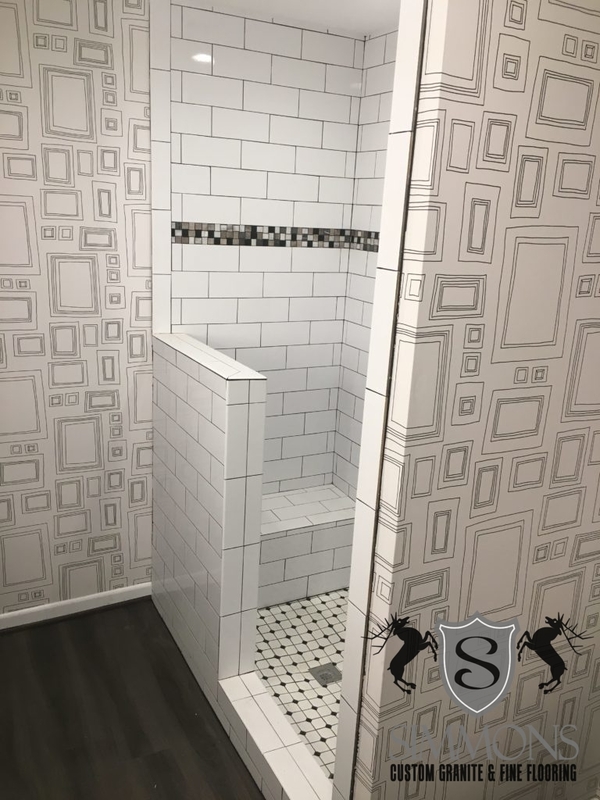 Check out our latest custom bathroom remodel project! 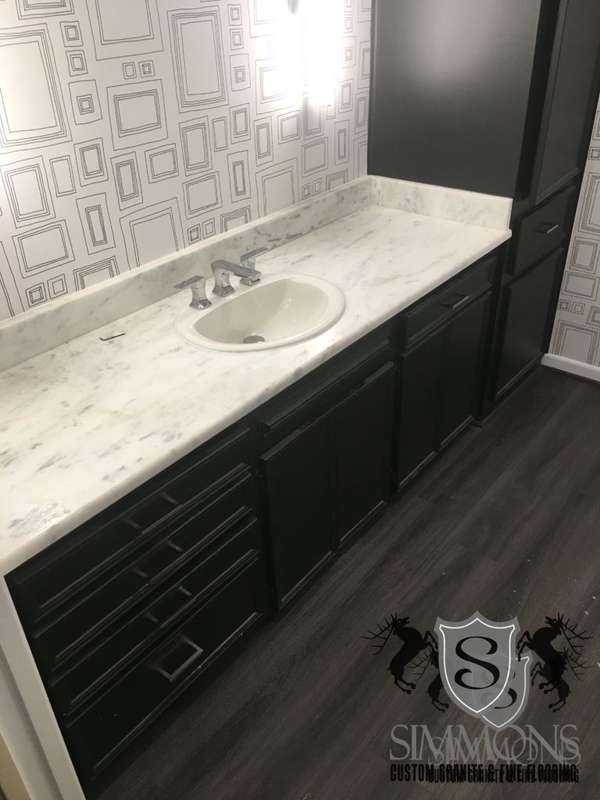 Emser Area 4×10 white glossy subway wall, octagon w/black dot on bottom, Interceramic Hi/Lo Contemporary Blend accent band, Shadow Storm countertops, and new vinyl floors. Come visit our showroom today to see what we can do with your home!